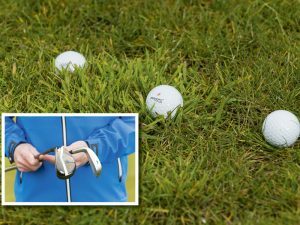 Golf Monthly Top 25 coach John Jacobs has some tips to help you stop hitting thin iron shots and help you find the middle of the blade more often. 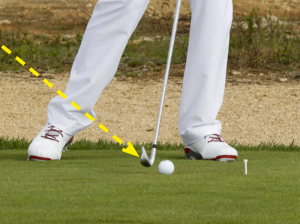 The thin shot is almost always a mistake that stems from an issue with your posture. 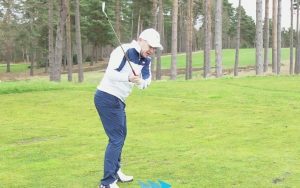 In my experience, it happens when your pelvis moves towards the ball on the downswing – often it starts at the end of a long range session when you start to get tired and all too often it quickly gets grooved into your game. 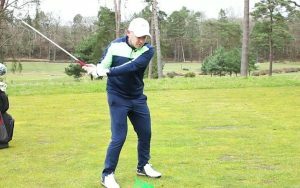 This move leads to your shoulders rising which lifts the arc of the swing and the clubface catches the ball on the equator. 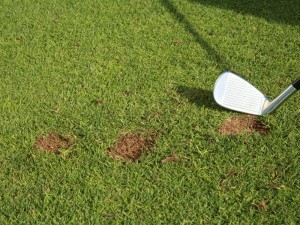 There are plenty of other causes for golfers hitting thin shots. One of the main ones is “the chicken wing”. 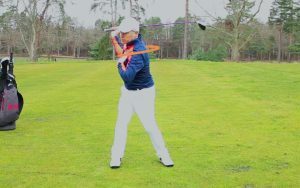 If you watch a high level player, you’ll observe that their lead arm reaches a fully extended position as they release the club through the impact area. 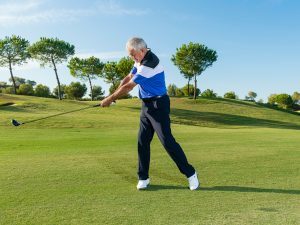 Lots of amateurs shorten or bend their arm to prevent them from hitting the ground. 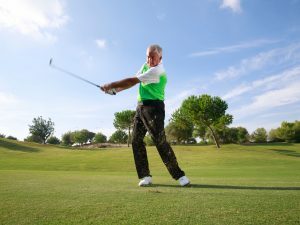 This saving move is often required because the golfer’s plane or angle of attack is too steep. 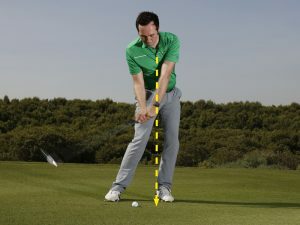 Another second common reason behind thin shots is having a very flat swing, involving the arms swinging too much around the body. As a result of the arms swinging so much around, it’s not physically possible to hit the bottom of the ball. 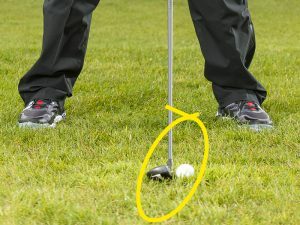 With the path being too much from the inside, the club bottoms out too soon force golfers are forced to raise the handle of the golf club through impact, resulting in the thin strike. 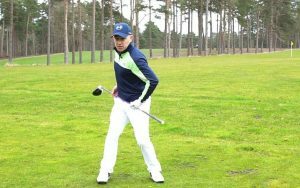 So, to rid yourself of this, set a strong, athletic posture at address and then aim to keep the angle of your pelvis through impact. 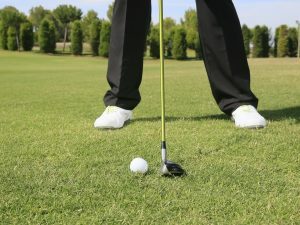 At address push your pelvis back, as if you are pushing your backside up against a wall. 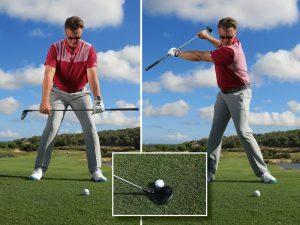 This will create the room you need to swing your arms – then aim to keep this angle as stable as possible during the swing. 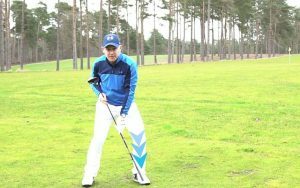 If you can do that, you’ll stay in your posture much better and rid yourself of golf’s most destructive shot.